*Reduced* 2007 Mini Cooper S with 134k. 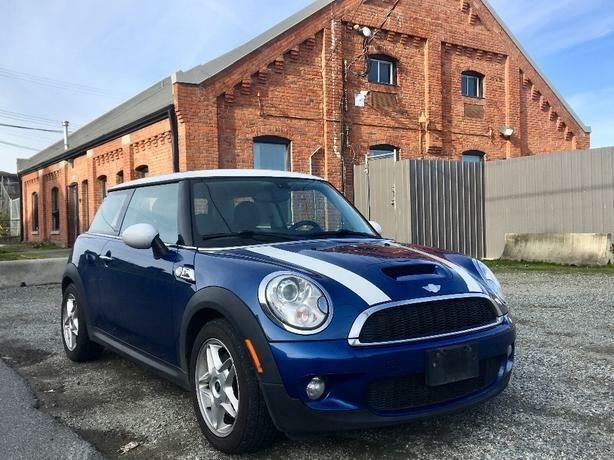 Powered by a 1.6 litre turbocharged four cylinder engine and six speed manual transmission this awesome little car sets the bar for smiles per dollar. Loaded with features like heated leather seats, panoramic sun roof, power windows locks and air conditioning, remote keyless entry, factory alloy wheels and much more. If fun is the goal look no further. - Mechanical Inspection and Carproof Report included. - Warranties available from 90 day 3000km and extendable up to 4 years 48,000km. - Like me on Facebook using the website link to see my latest inventory and updates.